Anamorphic: Is it Worth It? Whilst it may sound like some weird alien or insect, anamorphic projection is a method of displaying video content that recreates the cinematic effect you get at the cinema, through your home system, removing those irritating ‘black bars’ and delivering a truly immersive experience. SONA design and install many projection home cinema systems for our clients, ranging from multi-purpose family or media rooms, where the projection system is completely hidden from view, to bespoke private cinemas that out perform commercial theaters. Generally, we describe a media room as a multi-purpose space – where the primary function isn’t just watching something on the big screen and the room isn’t focussed on just TV or film. These rooms can feature pool tables, and are often spaces where friends and family congregate to relax, with the entertainment system there as background rather than the main event. This compared to a dedicated cinema, where the room is designed around the screen and the associated audio equipment to deliver the best possible audio and video experience. As a general rule, media rooms do not demand as high a level of technical design or performance and virtually all of SONA’s media room installations that feature a large projection screen use a screen that is the same shape (or ratio) as your conventional TV – 16:9. This means that the width of the screen is 1.78x the height and most projectors feature a chip (the part that produces the image) of the same ratio. As the majority of television content (drama’s, comedies, sports) are all recorded in this 16:9 format for general viewing this system is perfectly adequate however you may remember visiting the cinema and noticing that after the adverts finished and before the film started, the sides of the screen actually moved apart, and the screen became physically wider. This is because most films are actually recorded in a ratio wider than your TV, where the width of the screen is actually around 2.4x the height. When broadcasters show films on TV, if they want to ‘fill’ your screen, they can therefore zoom in on a section of the film, in essence cutting off the edges of the image. What actually tends to happen in principle however is that they broadcast the film as it was recorded, which results in an image that doesn’t fill your TV in height, and leaves black borders at the top and bottom. We think it’s super frustrating when the actual film you are watching on TV takes up less of the screen than the adverts! 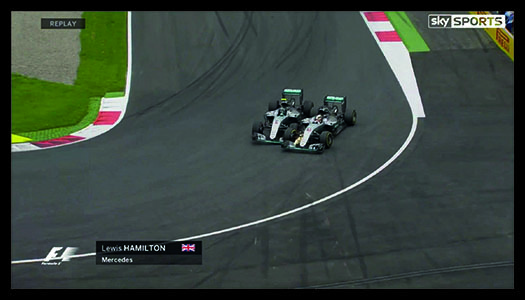 The image above depicts a standard 16:9 screen showing a F1 race from Sky. As content was recorded in the same format as the screen, it fits perfectly. 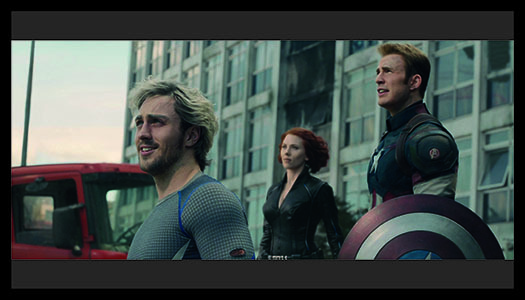 The image above depicts the same 16:9 screen but this time showing a film. As the film was recorded in a wider format, you get black bars at the top and bottom and are wasting a large portion of the screen. One solution is to zoom the image in so that it fills the height of the screen, but here you actually cut off a significant portion of the sides of the image. The image above depicts a screen which importantly is the same height as the 16:9 screen above, but is wider and in same ratio as the film was recorded. 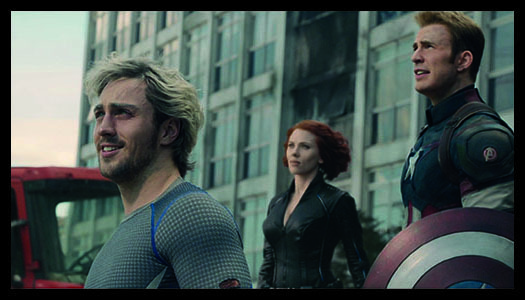 The same image then fills the screen and you get the true cinematic effect – as the director intended. Home Cinema - Done Right!